PAKISTAN Sindh approves law against forced conversions, "positive and encouraging"
The legislation proposed by an Islamic group and unanimously approved. Christian and Muslim activists emphasize the positive aspects. Penalties for offenders and for those celebrating forced marriages. The process to bring proceedings within 90 days of report; minors who convert before age 18 will not be judged. Karachi (AsiaNews) - The Sindh Assembly has unanimously approved the law that punishes forced conversions, with penalties of up to life imprisonment. 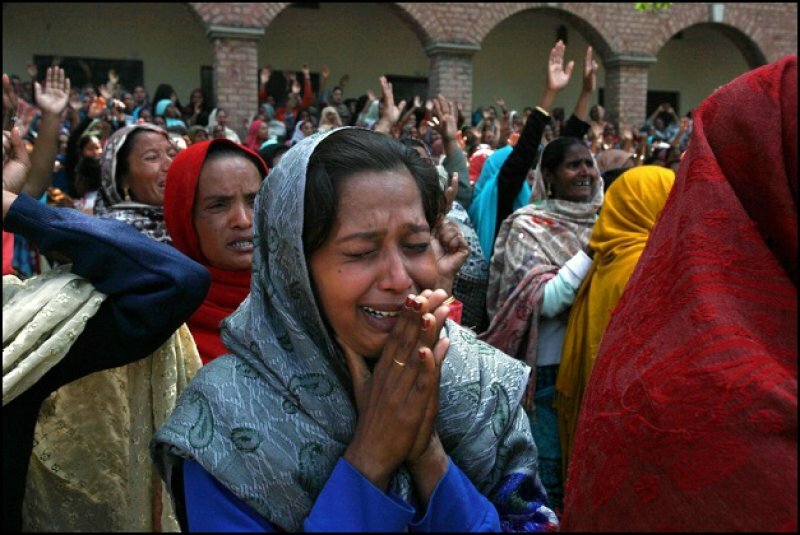 It is a real breakthrough for Pakistan, where there has been ongoing debate about how to curb coerced conversions and ensure compliance of all denominations, while guaranteeing freedom to profess their faith without restrictions. Rana Mohammad Kashif, a Muslim activist and coordinator of the South Asia Partnership Pakistan, told AsiaNews: "It is a very positive act by the provincial legislature because it is directed at protecting and promoting the rights of religious minorities in Pakistan. We know that forced conversions are a problem throughout the country, and rampant especially in Sindh. The law will improve the image of the province in the international community and will help to curb the exodus of minorities fleeing abroad in search of protection". The Criminal Law (Protection of Minorities) was approved yesterday. It was proposed last year by Nand Kumar, MP from the moderate and centrist Islamic groups the Pakistan Muslim League - Functional (PML-F). It states that "forced conversions are an offense repugnant and violent [...] which must be eliminated in order to recognize the importance of tolerance, peace and respect of all religions and people, regardless of their faith." From now on, those who will spot the crime of forced conversion, common in Islamic marriages where the woman is forced to embrace the faith of her husband, will have to serve five years in prison or life imprisonment. As for the conversions of minors, no one should be judged if the choice is made before the coming of age (18 years). Similarly, the conversion of a minor will be recognized after the completion of the 18th year. Arifa Shakeel, Christian activist and coordinator of the National Commission for Justice and Peace (NCJP), explains that the "forced conversion of women is a critical issue for Pakistan, which requires social care and policies. Now the government must ensure the full application of the legislation. In this way it can also be adopted by other provinces. " "I believe that now - he adds - the police should be sensitized and educated about the evil of coerced conversions. There is no glory in converting an underage girl from a marginalized community". Samson Salamat, chairman of the Christian Rwadari Tehreek (Movement for tolerance), says that "in the past there have been many cases of non-application of the law. Therefore the government of Sindh has to work closely with civil society and experts for minority rights ". Speaking of the law, Shane Cecil Chaudhry, Executive Director of Ncjp, believes it is "written in detail. It provides for punishment for the guilty and those who are complicit in celebrating weddings. It also obliges the payment of damages to the victim and support during the trail". The fact that the trial should be opened within 90 days of the complaint he continues, "is encouraging."